A mangled version of this review appeared in the Independent. What is happening in the Middle East? Tariq Ramadan, one of the foremost Muslim intellectuals, calls the contemporary events ‘uprisings’, more concrete and permanent in their effect than ‘revolts’ but still short of thoroughgoing ‘revolutions’. So far, Tunisia is the only clear democratising success, and even there it remains unclear if the new dispensation will be fundamentally more just economically than the last. Half of this slim volume is spent examining whether the uprisings were staged or spontaneous. Ramadan counsels against both the naive view that outside powers are passive observers of events, and the contrary belief that Arab revolutionaries have been mere pawns or useful idiots in the hands of cunning foreign players. Certainly the US and its allies helped to guide events by collaborating with the military hierarchies which removed presidents in Tunisia and Egypt, and by full-scale intervention in Libya – this for a variety of obvious reasons. An agreement signed by Libya’s NTC in March last year, for instance, guaranteed France 35% of future oil exports. There’s been Gulf and Western hypocrisy over Bahrain, home to Formula One and the US Fifth Fleet, and al-Jazeera’s coverage has been tailored to reflect its Qatari host’s strategic concerns. Then, less convincingly, the social media conspiracy: trainees from 37 countries learned non-violent cyberactivism in Serbia. Google, Twitter and Yahoo offered training in the US. Google provided satellite access codes to Egyptian activists so they could evade censorship, but not to their Syrian counterparts. Ramadan also remarks on Syria’s abandonment by the ‘international community’. “It would have been possible to isolate the country in an effective way with a military option,” he writes in one of the more breathless journalistic pieces which make up the last third of the book. His belief that there could be such a thing as disinterested intervention is characteristically idealistic. Ramadan pays too much attention to the foreign conspiracy red herring, in part because the “conspiratorial paranoia of those who have lost their faith in the ability of human beings to assert themselves as the subjects of their own history” necessitates it, but also because, like the media he criticises, he focuses too much on cyberactivists and not at all on organised labour, whose strike actions in Tunisia and Egypt were finally more effective than mass demonstrations, or on the rights advocates in Syria and Yemen who kept anti-regime struggles alive. Ramadan comes into his own not as a political writer but as a historian and provoker of ideas. He notes how, in their Western representation, Muslim Arabs have shifted during the uprisings from the benighted, terrorist ‘other’ to the “alterego of the Western Universal.” He is worried by the Arab internalisation of this false universalism, and of the fruitless, inaccurate and Orientalist binary opposition of Islamism and secularism. Both schools of thought are in crisis. Secularists lack mass support; indeed ‘secularism’, associated with colonialism and post-colonial oppression, has become a dirty word in Arabic. Islamism has support but no coherent programme. Its proponents are divided by contentious issues from the rights of women and minorities to attitudes to sharia and statehood. The Iranian theocratic model, once an inspiration, is now tarnished. In opposition the Islamist current concentrated on the symbols of an Islamic society – hijabs and the like. Political Islam may be as diverse as political Judaism or Christianity, but is unified by its failure to even claim to offer answers to pressing economic, social and environmental crises. In recognition of their weaknesses, both parties to the argument now prefer the term ‘civil state’ over ‘Islamic’ or ‘secular’ state labels. 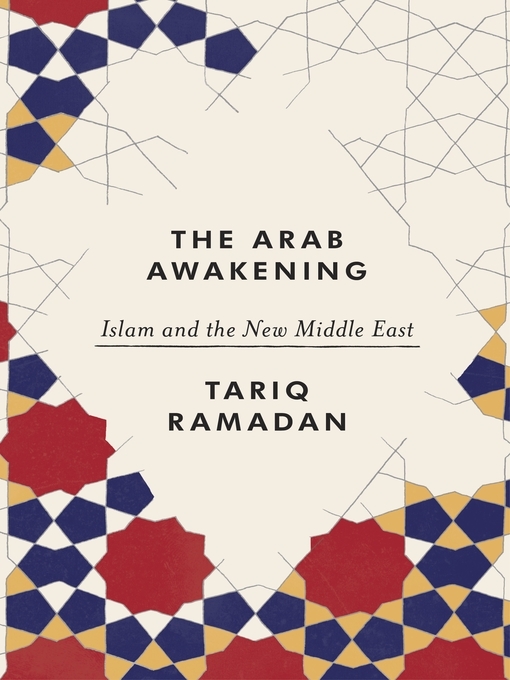 Ramadan blames the ideological void on “the deadening weight of dictatorship” which impoverished “the life of ideas in society.” Specifically, “critical, creative economic thinking appears to have deserted the Arab political debate”. Rejecting the superficiality of ‘Islamic finance’, he calls for a fuller critique of capitalism’s unethical and undemocratic content. He calls for revolution, in other words.